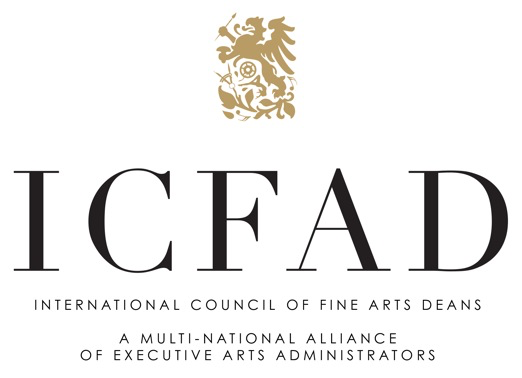 ICFAD is proud to enhance benefits of membership to its members by working hand-in-hand with a number of arts-related organizations. ICFAD is a National Sponsor of Arts Advocacy Day. For more information, please click here. Perhaps the most visible national supporter of the arts, the National Endowment of the Arts benefits from leadership recognizing that the organization is “not in it alone.” The National Endowment of the Arts is part of a public ecosystem that includes core regional, state and local arts agency partners; organizations including ICFAD; and colleagues in departments and agencies as diverse as the U.S. Department of Housing and Urban Development and the U.S. Forest Service. The landscape of the ways that the U.S. funds the arts is constantly evolving. The research and resources of the National Endowment for the Arts is available to strengthen the work of ICFAD Deans throughout the world. Here is a link to the NEA website. The Working Group on the Arts in Higher Education (WGAHE) is comprised of the trustees of the Council of Arts Accrediting Associations (CAAA) and the officers and Executive Committee of the International Council of Fine Arts Deans (ICFAD). The CAAA Trustees are the Presidents and Vice Presidents of the four arts accrediting associations, the National Association of Schools of Art and Design (NASAD), the National Association of Schools of Dance (NASD), the National Association of Schools of Music (NASM), and the National Association of Schools of Theatre (NAST), along with their Executive Director. The relationship between CAAA and ICFAD is purely consultative in nature, and the two entities are independent from one another. The Working Group on the Arts in Higher Education meets yearly in early January for informal discussion and information sharing on issues related to the arts in higher education, specifically those issues and topics that may be of interest or assistance to deans and other administrators.